This is my first build, and I was trying for clean black and white color scheme. I bought a case that had a window, so it had to be clean inside. Or it would bother me. A lot. I am very particular, I must admit. Looking back at some of these photos reminds me that I have to touch up on a few more cables. I am going to use this machine primarily for light/medium gaming, and maybe some video/audio editing down the road. But nothing too serious. The processor I picked up is the i5-4670k. I got it as part of a bundle with the motherboard, for $80 off. Decent overclocker. 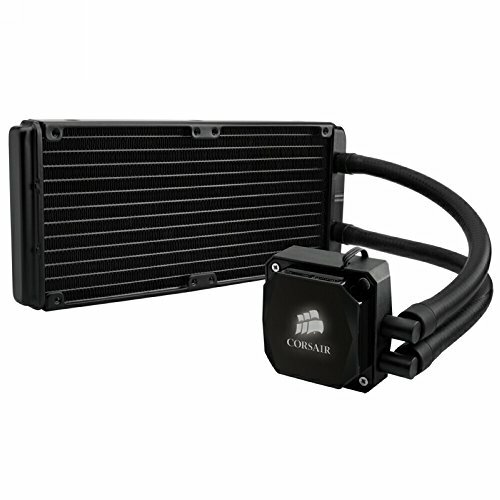 I chose the Corsair H100i for my cooler. I was very worried that it would not fit in my case, because of the tall heat sinks on the motherboard. It was tight, but it fits. Great temps. The motherboard is the Sabertooth z87. What can I say, 5 year warranty, and looks awesome! White. RAM. I do not mind spending an few extra dollars for looks. 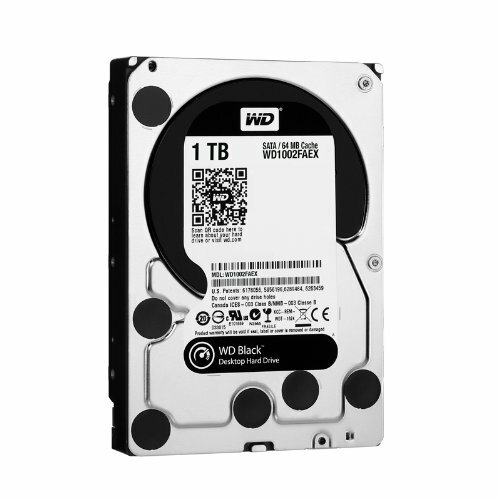 SSD and HDD: Both reliable, very solid reviews. 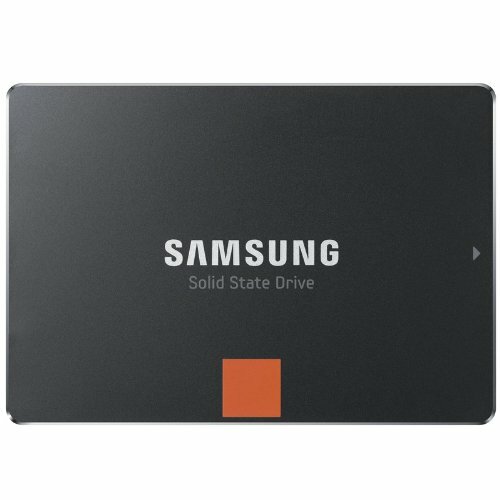 SSD boots extremely fast! I did not see a need for the pro version. For the video card, I went with the EVGA GTX 760. I do not need the performance of the GTX 770, but I didn't want no slouch either. I bought the white/silver blower style of this card. Its priced copmetitively, and matches my build! Perfect! I also purchased a nice EVGA backplate for it, which really cleaned up the look of it. I have two issues with it though. First, it is the loudest component in my system, under load. Second, it had an imperfection in the plastic coating stuff on the face (as seen in the photos). It drives me absolutely insane looking at it. 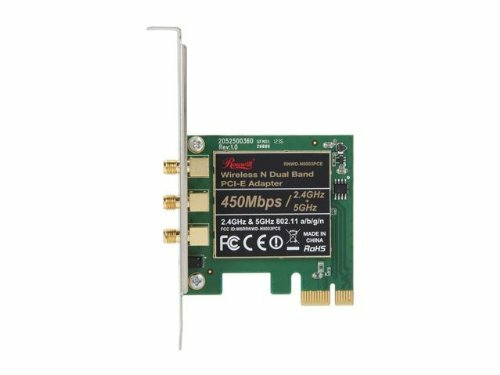 I needed a wireless card, because there is no way I can reach my router from where this computer is located. Quality card. Alright, for the case, I went with none other than the......Define R4! Like everyone else on this website! But seriously, I love the clean lines of the case. This case is surprisingly roomy, and I would definitely recommend it. Alright, so, I am very happy of how my build turned out. I had so much fun choosing parts and building my first computer! Sorry I didn't include any photos of the build process, I completely forgot about this site. Anyway, I hope you enjoyed reading about my build, and I would much appreciate your feedback (questions, suggestions, anything). I would like to give my thanks to this website. I has helped me greatly throughout my build. This is an awesome community we have here, keep the builds coming! EDIT: Since I have posted this build, I realized I was not overclocking correctly. I was severely undervolting my processor, so I was not stable at higher frequencies. And I was testing it with software that overvolted my CPU, explaining the abnormally high temps for the h100i. I guess I was afraid of ruining something, since this is my first build. Now I have got my processor running fully stable at 4.8ghz. Both cache and cores are set to 4800mhz, @1.43v. The temperatures are decent considering the overclock. The average is about 85C under full load, occasionally getting spikes of 90-92C. A few people were asking about my fans, so I added them to my part list, along with a few peripherals. They are all corsair fans. The AF140's are great fans. The SP120's are good too, but they have a whine to them at 12v. Wow. That is VERY nice and clean. I'm impressed. Packers fan +1, nice build too. +2 How did you guess that? never-mind, found it. Should have guessed from the basement, but then saw the mouse pad. Liking it. Why was the build not done in Green/ Gold? Even though you are north of my border I have to give props to this build from the parts to the cable management. The extra 8gb of memory may be overkill but IF there is to be editing down the road then it is not a bad move to install it now. Thanks. I didn't want to upgrade anything for a while, so I just went with 16gb. I never thought of that, my next build will be green and gold!! BEAUTIFUL BUILD! CAPS LOCK OONN! Too many pics is a good thing, right? 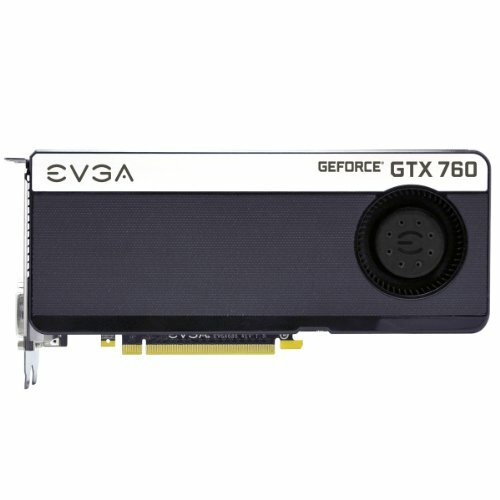 Did you have any problems with the EVGA card? I'm getting the same one but I'm stuck between the Asus or EVGA one. Some people have problems with the Asus (not booting and needing to be replaced) but there's not as many reviews on the EVGA one. Thanks! I haven't had any problems like that with mine. Boots up every time, with no issues, and was pretty easy to set up. Keep in mind, the EVGA card is a reference based card, and the fans are a little loud from 60-100%. If the noise bothers you get the one with ACX cooler (EVGA). Looks incredible. Overkill yes, but looks good. What fans are you using? That's what I thought. The Corsair fans are amazing. However, 4.4GHz is really weak. I'd expect that with a Evo, not H100i. Plus there are tons of expensive fans. Yes, I am using the Corsair AF140s and SP120s on the H100i, I just added them to the part list. I realized I wasn't setting voltages adequate enough for the frequencies I was setting. My overclock now is 4.8ghz, and the temps are much better. I updated the pictures. The stress test software I was using was overvolting my CPU, hence the high temps before, at only 4.4ghz. I have to give you a +1, it's beautiful, but that mousepad makes me want to downvote you... Still, +1, wish my first build looked like that. Nicely done ;). A white PSU like mine would've been great too ;). Good parts and good deals too, also you could've had the ram 20$ cheaper on Ebay not too long ago. You did not include the fans in the build, is that on purpose ? Wish my 770 could've been silver instead of goldish, my build would be truly close to yours that way.. Anyway, neat job, excellent CM too ! Our builds are quite similar! Yeah, the only thing I could not find on sale was the RAM, and it is overpriced in my opinion. It seems to me that they are priced so high only because of the white heatsink! I only wanted to include the core components of the build, so I left out the fans and a few accessories. Thanks! Appreciate the feedback! Amazingly clean build! Truly beautiful, nice job sir. It's beautiful. I am wanting to build a 2nd computer with this color scheme. Coming across yours inspires me . Good Job Kid! Very easy on the eyes. Is sooo beautiful!! and all the parts are good choices. Congratulations!! Mine is all black and blue... all but the graphics card, wich is Red and black. The case has no windows however hehehe.... need some led-colored fans. Greetings! Can you include where you bought these parts. 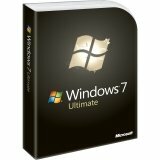 I was thinking of building a similar system and can't find the prices you included. I tried updating the part list for you, but if I used the 'Where' option, the prices would be current, not the prices I paid. All of the components listed were either purchased on newegg.com, us.ncix.com, or amazon.com. I bought everything on sale/bundled except the graphics card and the RAM. Check the Newegg bundles, they occasionally have great deals on CPU and motherboards. I got mine bundled for $400. If you have the time, the sales will come! Loved your build I do hope it is going very well for your liking, anyways my upcoming build is very based off of yours Such as the Case, CPU, GPU, SSD, WDC Black hardDrive. Thanks, Maybe if you'd like not sure what type of games you like to play but myabe we can play together someday! All I can say is 'DAAAAAAAAAAAAAAAAAAAAAAM'! That's nice dude, really nice. I may be a value-not-visuals guy, but that doesn't mean I don't know beauty when I see it, and THAT, my friend, is beautiful. I'm guessing you went with the reference 760 card because none of the 3rd party variants would fit the color scheme? If in the future you want to improve performance on the 760 and also further enhance your visual scheme, think about an Arctic Accelero Xtreme III ccoler for the GPU. It's a three fan solution that usually brings load temps down to around the 50C mark. And, of course, the fans are white, as well as a little white banding on the top edge. Interesting. I may look into that. Thanks for the comment. That is the cleanest, most aesthetically perfect build I have ever seen. I salute you. I love the look. Cable management is amazing as well. Thanks for showing me that no ones going to see the Fractal psu with the panel on. That's a bummer. What do you think? The Fractal or EVGA NEX650G Gold for my red/black build? I am currently in the middles of the build but I noticed you switched the 120mm fans from the H100i and was wondering if the stock ones were that loud or do the new ones just cool your cpu much better? I think he did it for looks. this is awesome. i picked these exact parts minus the mobo. im going with a gold black look with the asus pro 1150. you convinced me to buy a evga backplate. looks amazing. How is the motherboard treating you? Where did you put the radiator for the liquid cooling?? 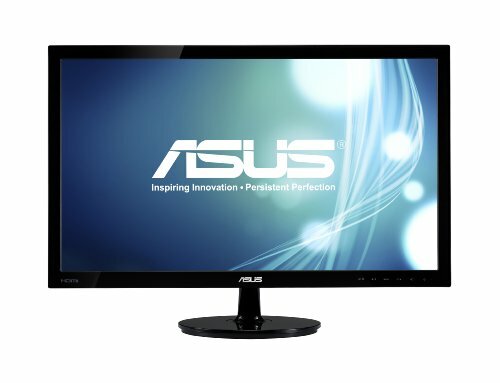 Is the monitor 120hz or? Really clean look, I like it :) Also, good job with the cable management. 1500 dollar build you could get an gtx 960? 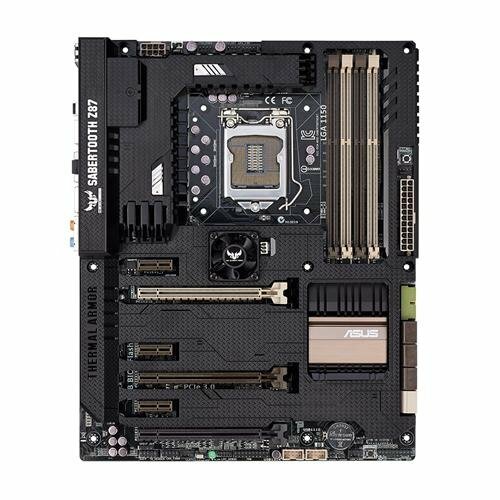 You buy a motherboard just because it looks nice? Please tell me you're overclocking the CPU with an H100 and that MOBO because if you're not then I don't understand why you got those expensive parts and no SSD. Sorry man you get a lot of love just because you picked some parts but personally I don't think the MOBO and Cooler was worth it compared to other parts. Go big with all parts or keep it even across the board. Well, if you read the description, you would have noticed that I do have an SSD in this build. It is a Samsung 840. Also, you would have noticed that I have a very strong over clock, at 4.8GHz. That is also listed to the right of the description, and the last three pictures I have posted prove the 4.8GHz. I did splurge on the motherboard, but I got as much 'love' as I did because this is a generally well balanced build. Please read the description before you comment next time.